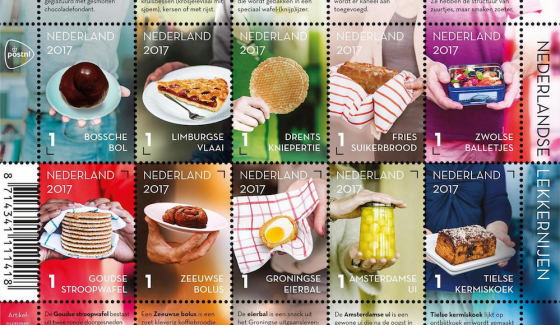 There are lots of places in the Netherlands that have their own culinary speciality. And so as not to allow any misunderstanding as to their provenance, they tacked the name to the product. Here’s 11 local delicacies from all over the country in no particular order of preference. And before you mention it, no, we have not included cheese. There are simply too many of them. Succulent yellow pickled onions, Amsterdamse uien are so named because they were a popular snack sold by Jewish street vendors in the working class areas of Amsterdam.The onions are pickled in vinegar and herbs and saffron or curcumin are added in, which gives them their distinctive colour. They are the devil’s food, of course, or what else would you call a big puff pastry ball filled with whipped cream covered in chocolate. They were thought up in Den Bosch by a baker called Lambermont in the 18th century and are still going strong, selling in their thousands at Jan de Groot’s bakery in Den Bosch. This coffee flavoured hard candy is the brainchild of Baron Hendrik Hop who lived in The Hague in the 18th century. A coffee addict, he went to sleep (!) after a heavy night’s coffee drinking, leaving a cup of coffee with cream and sugar on a heater where it hardened. The taste appealed to him, his neighbour happened to be a confectioner and the rest is history. 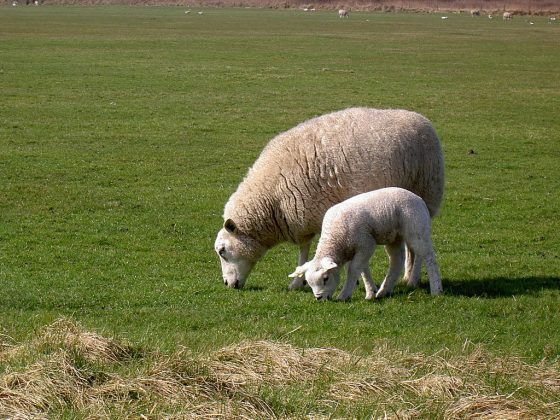 A breed specific to this Waddeneiland, the Texel lamb eats slightly salted grass and breaths slightly salted air which gives it its distinguishing taste. Rumour has it that former queen Beatrix is a fan and that she used to feed Texels lamb to visiting dignitaries. The lamb is allowed to frolic in a Texel field for 100 days, leading a happy, stress free life which, according to the local butchers, makes it taste even better and makes consumers feel better at the same time. The origins of the Gelderse smoked sausage lie indeed in the province of Gelderland where 19th century farmers had to find ways of preserving the various bits of the pig they slaughtered and decided to smoke their sausages. Every year sausage makers, mostly from Gelderland, compete in the national Gelderse rookworstwedstrijd in Arnhem. Gelderse rookworst is not a protected name so everyone can make it and lots do. But consumer organisation Consumentenbond tested 16 and found they all contained too much salt and fat, so beware. We stick around a bit longer in Gelderland to savour the delights of Arnhem girls which, before you ask, are a type of biscuit made from yeast dough and sprinkled with sugar. They are called Arnhem biscuits in foreign parts and Roald Dahl liked them so much he put them in his Revolting Recipe cookbook. A hard candy made with sugar, butter, water and a little bit of vinegar, the first Zeeuwse boterbabbelaars were commercially sold in Middelburg in 1892 by JB Diesch which is still churning them out today. A babbelaar is a chatterbox and the story goes that the sweet was much in demand at gatherings of chattering ladies who had them with their tea. 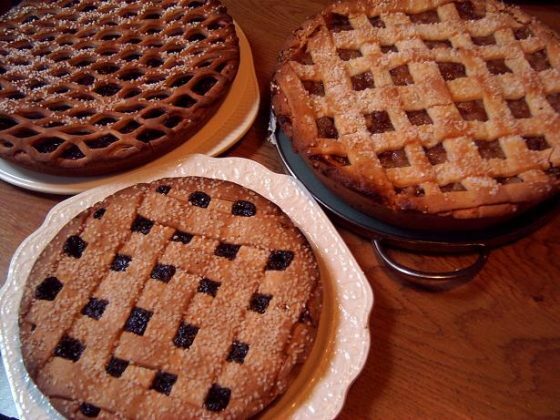 A Limburgse vlaai is a piece of a round bread dough of around 30cm in diameter topped with different fruits or rice and covered with a latticework of dough. The bakers of Limburg are lobbying for a European quality mark to ban inferior products which they say are bringing the name of Limburgse vlaai in disrepute. If you want to buy Zwolse balletjes you will have to travel to the city of Zwolle in the province of Overijssel to buy them. It’s the only place that sells the real thing. Amazingly, these sweets are still made and sold on the same premises as when they were first invented in 1845. Made from sugar dough and with different flavours added to them, the Zwolse Balletjes’ exact formula is a closely guarded secret. So what is a Vockingworst except something that sounds rude in English? It is a dark grey coloured liverwurst named after one Paul Vocking who invented it in 1891. This one will be familiar to many: it is a Scotch egg. Groningen is famous for this deep-fried, egg and ragout filled breaded ball. It is typically sold in snack bars alongside berenhappen, frikandellen, kapsalons and other Dutch favourites.